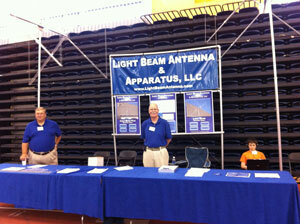 We are really looking forward to seeing you at the Rochester Hamfest next weekend! With 60,000 square feet of indoor air-conditioned space for commercial vendors and the flea market, it promises to be a great event. Please be sure to stop by our booth and mention that you got this email. I’d love to chat with you about some new antenna ideas we have on the drawing board.